March 18, 2014 – Park City, Utah – Utah will be home to the brand new Backcountry Bike Team. The pro mountain bike team will be sponsored by Utah based online retailer Backcountry.com. The team will be lead by Utah powerhouse Evelyn Dong and Arizona speedster Chloe Woodruff. The new team will be managed by veteran pro Jason Sager of Ogden. Sager races locally on occasion, but more often is competing in national and international events. Last year, he was 4th in the 2013 Mongolian Bike Challenge. 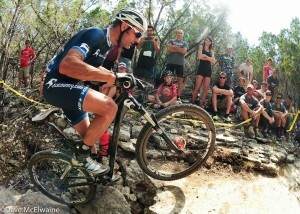 He excels in mountain bike stage races. Salt Lake City’s Evelyn Dong placed 5th in last years XC National Championship, and 3rd in the Missoula Pro XCT race. She was also Cycling Utah’s 2012 Cyclocross Rider of the Year. Evelyn also just finished 5th at the HC UCI Bonelli Park XCT event in San Dimas, CA. Arizona’s Chloe and TJ Woodruff round out the team. Chloe was 2nd overall in the 2013 Pro XCT Series, and TJ won the McDowell and White Tanks Arizona MBAA races in 2013. 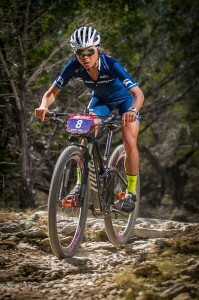 The team will ride Niner Bikes – the Air 9 RDO, One 9 RDO, and Jet 9 RDO. Niner is based in Fort Collins, Colorado. Other sponsors include Geax, Clifbar, Louis Garneau, FSA, WTB, Chris King, ENVE, SRAM, Crankbrothers, Eureka, Jet Boil and Gore Bike Wear. The team has a full calendar planned. Highlights include the XCT series, the Whiskey 50, Marathon Nationals in Idaho, Mont Saint Anne and Windham World Cups, the Mongolian Bike Challenge, and the Worlds in Norway. Additionally they plan to race a variety of Utah and regional events. Look for the team at the Fontana XCT on 3-24-2014 and the Sea Otter Classic on 4-13-2014.